Two years ago tomorrow Apple introduced the iPhone 5. It was a big deal. It was a big deal for gadget folks who wanted a bigger iPhone. It was a big deal for wireless LAN folks who wanted users to use smartphones with speedier WiFi. Now the iPhone 6 has been announced and it appears to be more of the same. Gadgeteers get their bigger iPhone. Wireless folks get their faster speeds. Problem is, the faster wireless speeds likely won't mean anything for high capacity wireless deployments. The big news about the iPhone 6 is 802.11ac. Yippee! Apple has finally adopted the latest and greatest WiFi standard in a mobile device. 802.11ac has data rates as high as 6.9 Gbps in the standard, but wireless LAN folks know that's not what happens in real life. Real 802.11ac devices top out at a 1.3 Gbps data rate when multiple input-multiple output (MIMO) antenna systems are supported, while non-MIMO devices top out at 433 Mbps. You see, 433/150 = almost 3. That means three times faster wireless! Except it doesn't. 802.11ac is basically the same thing as 802.11n. I know that 433 and 150 seem like very different numbers, but in most real world cases, they're actually the same. Think about the average high-capacity wireless network. Do the users have a line of sight to the APs? Usually, No. 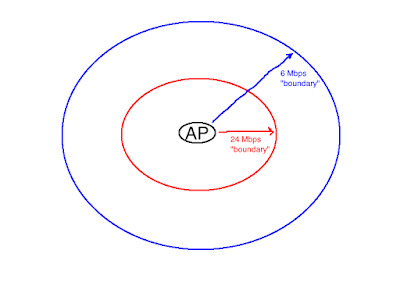 Are the users within thirty feet (ten meters) of the APs? Often, No. Is it better to spread users out among four or five times as many channels? Definitely, Yes. If you agree with these answers, then 802.11ac in the iPhone 6 and iPhone 6 Plus reverts to the 150 Mbps data rates used in the iPhone 5 and iPhone 5S. 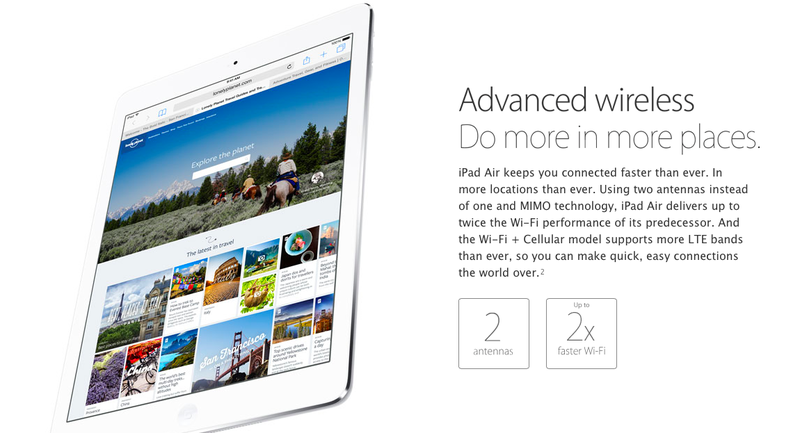 The iPad Air, which has been out for about a year now, is a mobile device from Apple that supports MIMO. In a typical high capacity WiFi environment, the iPad Air or iPad Mini is going to get as high as 300 Mbps in the 5 GHz band or 144 Mbps in the 2.4 GHz band. The iPhone 6 or iPhone 6 Plus is going to get as high as 150 Mbps in 5 GHz, or 72 Mbps in 2.4 GHz. That's big. It's big for users of the gadgets and it's even bigger for the WLAN folks who have to manage those networks. Apple may have done a solid for people who want to be able to see five Tweets on their screen at a time instead of four, but for wireless folks who have to deal with high capacity networks they didn't help us out as much as they could have. Yeah, yet another marketing post which is "technically true" but will almost never be achieved in reality. Marketing really is the bane of the WLAN. Nice post Ben. 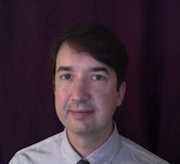 Thanks for writing (and thinking) discriminately about 11ac. You are one among a very small crowd. Much appreciated, MB. I thank my mom for blessing me with a sensitive B.S. detector. Great explanation, Ben. BTW, I just finished a course on the Ubiquiti Unifi series and they state in their course (and test on the fact) that the listed speed is approximately 2x effective speed due to wireless signalling overhead. Another thing which can bring performance down is long vs. short guard intervals in 802.11ac and n. That 150 starts looking pretty weak if there is anything between your iPhone and the AP. I'm not sure what all above means, but.... I can tell you I have a 6+ and the speed difference in picture and file uploads to the connected storage on my router is not even comparable. What would normally take about 1-2 minutes to upload now takes about 15 seconds!! AC is all about network speed more than internet speed. If you have files and pitures on a USB drive connected to a router GET AN AC ROUTER!!! WAAAY FASTER! Wonderful article. It helped me learn about MIMO, plus the math exposing shenanigans (Of sorts I suppose) is always appreciated. But I have a question: I have an original iPhone 6 Plus ( not refurbished or jail broken or otherwise modified). Why am I getting + or - from 290 Mb/s to 300 Mbs/s?? Am I just lucky? 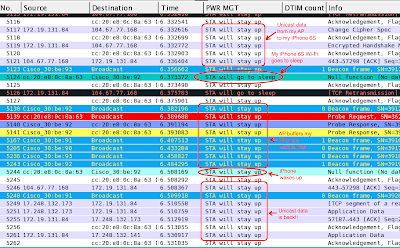 Did apple sneak in MIMO in subsequent fabrications? At home I have Verz FIOS with a dedicated 300Mb line. I split my wifi network into two (2.4hz & 5Hz) because modem/router is less than 18 feet from me so I could specifically choose the faster 5Hz. Unless I read this article wrong ( I prob. did ); I should not be getting 290-300 speeds on my non-mimo iPhone? P.S. I don't really expect a response but I thought it would be of interest to others, like me, who don't need/want/tired of buying an "S" model iPhone every other years. You can turn just any phone into gps spy tracking device. Read this article to know how. 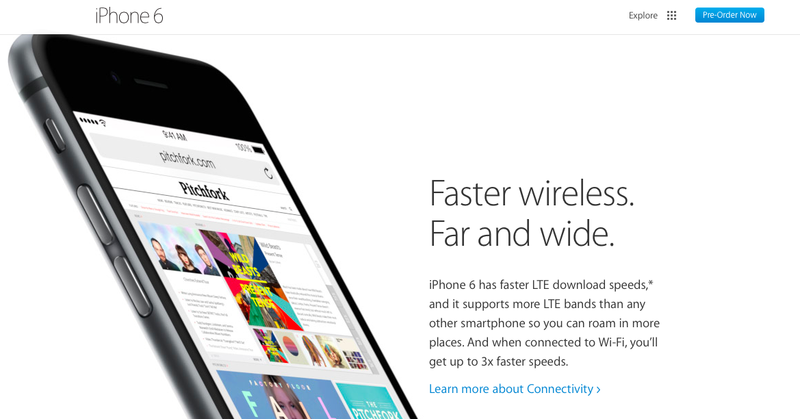 The Apple iPhone 6 or iPhone 6 Plus is accepted to get as high as 150 Mbps in 5 GHz, or 72 Mbps in 2.4 GHz. Great post. I think you should also take a look at this page. Capacity or Coverage or Neither?